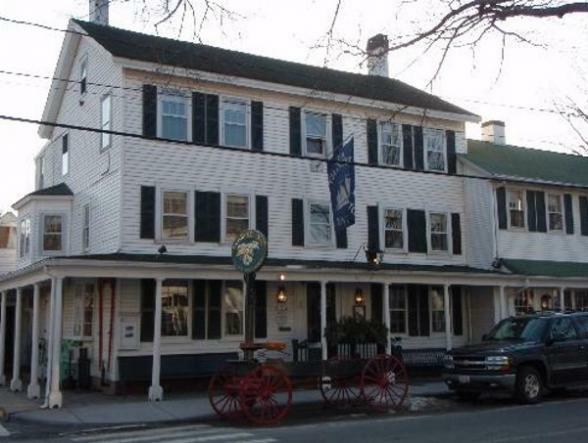 There is really no more enjoyable way to visit New England than to travel the rural scenic byways and stay in authentic New England Inns. 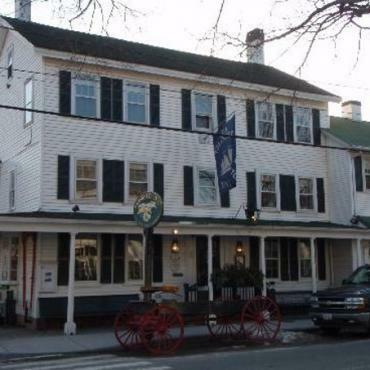 You’ll experience the warmth and hospitality of these charming, historic inns, not to mention some truly fabulous breakfasts. 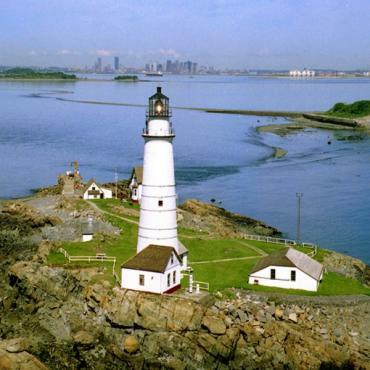 Starting in Boston, the birthplace of Independence, you’ll be driving a classic New England route, taking in the coast of Connecticut, which could not be more different from the Massachusetts coast on Cape Cod and the Maine Coast at Kennebunkport. Combine this with the quintessential New England mountain scenery in New Hampshire and Vermont and you've got yourself a tour of true contrasts. The roots of Boston, New England’s largest city, can be found way back in Lincolnshire, about 100 miles north of London. The land there, gifted by William the Conqueror, was also home to the founders of the Massachusetts Bay Colony who settled Boston. In 1629, a dozen shareholders from Boston, Lincolnshire signed a contract to inhabit and develop New England assuming that they would be allowed to govern the colony themselves. They set sail for America, ultimately to join with William Blackstone and other survivors of the first Plymouth Colony. Today of course, as they say, the rest is history. 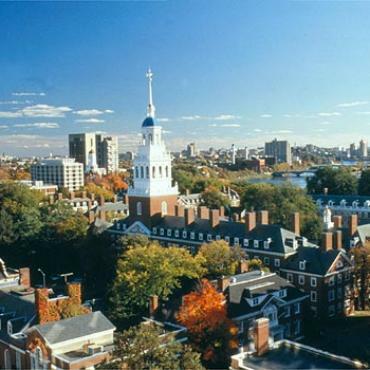 Boston became a thriving settlement, more new settlers arrived, the roots of American independence began to take root and for a time the city even hosted the emerging government of the United States. 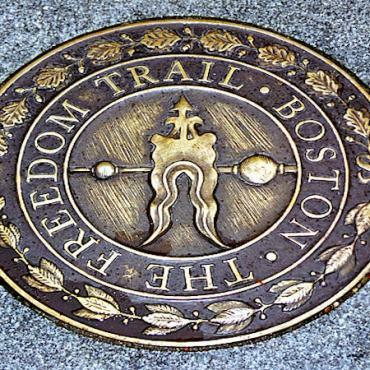 The events surrounding the American Revolution in Boston are commemorated in The Freedom Trail, a 2.5 mile walking trail through downtown Boston, the North End and Charlestown. 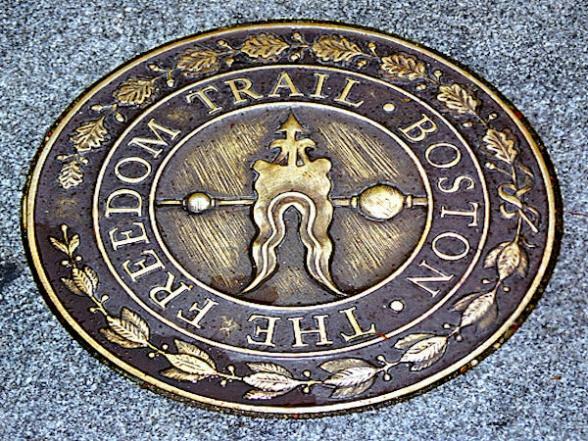 The trail starts at the Boston Common, originally owned by William Blackstone. It is hard to imagine that the 50 acres in the very heart of Boston were once used as a common pasture for cattle owned by the townspeople. Next stop, the Boston State House, completed in 1798. It is the oldest building on Beacon Hill and still the seat of the Massachusetts government. Fifteen additional locations on the Freedom Trail include the USS Constitution and the Paul Revere House. It takes about 4 hours to walk the trail comfortably. Cape Cod is larger than most people imagine. Your accommodations in Yarmouth Port for the next two nights place you right in the middle of the Cape, ready for action. The Upper Cape closest to the Massachusetts mainland is home to Sandwich and Falmouth, location of the famous Woods Hole Oceanographic Institution. Hyannis, of Kennedy fame, is located Mid-Cape. The narrow portion of land where it bends sharply north is considered the Lower Cape. The Outer Cape includes the Cape Cod National Seashore, forty miles of pristine sandy beach, marshes, ponds and uplands. 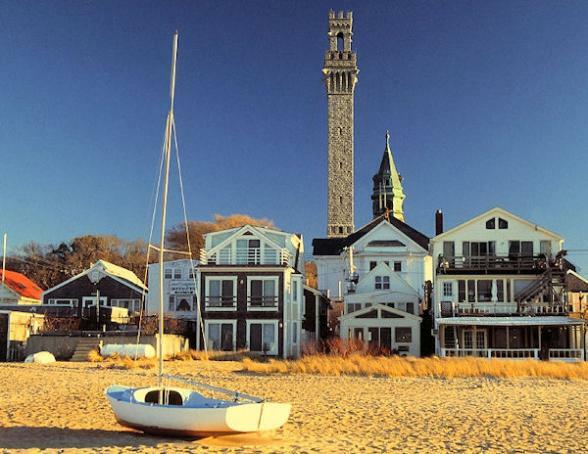 Lighthouses, cultural landscapes and wild cranberry bogs offer a glimpse of Cape Cod's past. Stephen Leatherman, aka Dr. Beach, recently named Coast Guard Beach the 5th best beach in the US. Provincetown, at the very end of the Cape and long known as an art town, berths several whale watching fleets that patrol Stellwagen Bank National Marine Sanctuary. Several guarantee a whale sighting at the right time of year. Today we suggest a trip by ferry to Nantucket Island, one of the most unique, historic and visually stunning places in the world. Originally a booming whaling port, the National Historic District of Nantucket has changed little since the 17th century, when many of the seaside cottages were built and old-fashioned whale oil lamps lit the streets. Today, nearly 40% of the remainder of the island is protected conservation land. You can walk wide sandy beaches, swim in the sparkling waters of Nantucket Sound or brave the Atlantic on the island’s south shore. If land is more to your liking, browse the many boutique shops, art galleries and museums or sign up for a tour of the island. Right next door, Edgartown, the most famous town on Martha’s Vineyard, could not be more different from Nantucket. 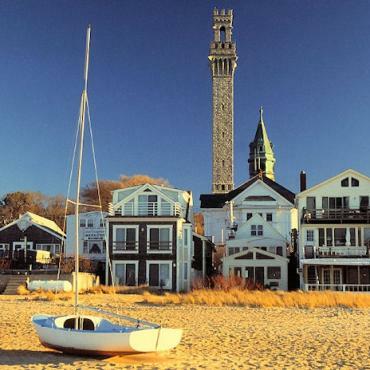 Martha’s Vineyard actually has six different towns that are as different as night and day. Once a thriving whaling port, the island is now home to writers, artists, architects and designers who come here to get away from the hustle and bustle of Boston. There are no chain restaurants, no shopping malls and no speed over 45 miles an hour on Martha’s Vineyard. The region around Essex Connecticut is one of the oldest in America. Old Saybrook, Connecticut, where the Connecticut River meet the Long Island Sound, is one of the oldest towns in the state dating back to 1635. Begun as an independent colony known as the Saybrook Plantation, the colony was started when a company of English Puritans headed by led by John Wintrhop, Jr. erected a fort to guard the river entrance. The Pequot War engulfed the area in 1636. 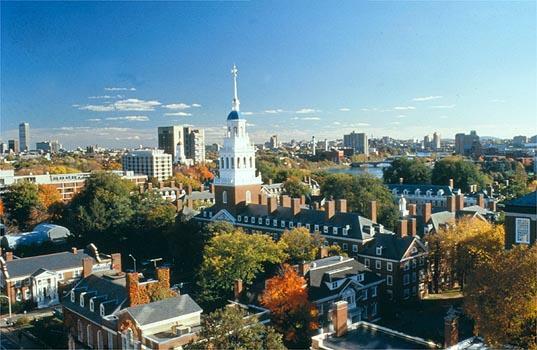 Yale University was founded in Old Saybrook as the Collegiate School for the education of ministers in 1700. 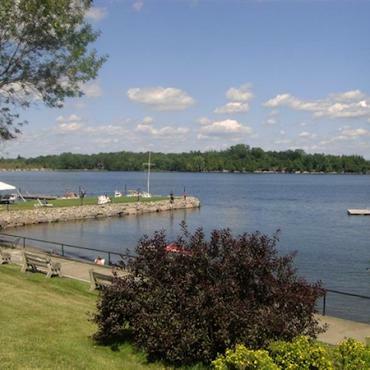 Just two miles away, settlers from Saybrook founded Lyme on the banks of the Connecticut River in the 1640s. By the 1650s the town was exporting barrel staves to the West Indies. Lyme prospered in the 1700s and 1800s, during which many of its fine old churches, houses and public buildings were constructed. During the late 1800s and early 1900s it became a summer art colony favoured by painters. The less wealthy boarded in the fine old (1817) mansion of Miss Florence Griswold on Lyme Street, now Old Lyme's most noted art museum. American Impressionists whom Miss Griswold admired, including Charles Ebert, Childe Hassam, Willard Metcalfe, Henry Ward Ranger, and Guy and Carleston Wiggins, decorated many of the mansion's walls and doors with their work— sometimes in lieu of rent. The stars come out in summer in the Berkshires and not just in the sky. Tanglewood hosts stirring Boston Symphony Orchestra performances, the Williamstown Theatre Festival presents inspiring plays and local museums unveil captivating exhibits. The new MASS MOCA (the Massachusetts Museum of Contemporary Art) displays cutting edge and state of the art creations. The Clark Art Institute features the masterworks collected by the Clark family. The Norman Rockwell Museum holds not only the work of Norman Rockwell, but also other classic and modern art. 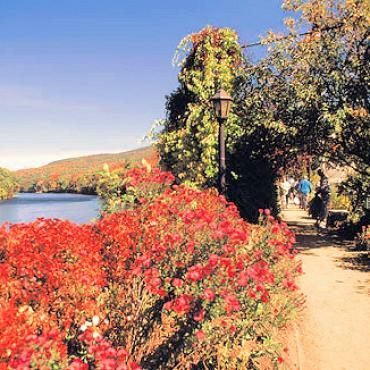 The historic Mohawk Trail National Scenic Byway traverses the northern portion of the Berkshires. The fascinating Hancock Shaker Village is located in Pittsfield. You can spend the afternoon exploring the charming small towns of Williamstown, Lee and Lenox, Massachusetts. Be sure to stop in the many quaint New England antique shops and one-of-a-kind Berkshires art galleries. Those who want to get out in the outdoors can take the Berkshire Scenic Railroad from the historic station in Lenox to either Lee or Stockbridge. Western Gateway Heritage State Park features a model railroad display and a re-enactment of the building of the Hoosac Tunnel. Hiking is popular along the Shaker footpaths of Shaker Village, on the wooded trails of Pittsfield State Forest, in the Pleasant Valley Wildlife Sanctuary and in Kennedy Park in Lenox. 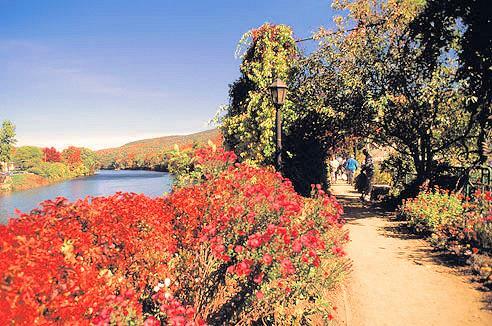 Take a tamer stroll at the Berkshire Botanical Gardens. 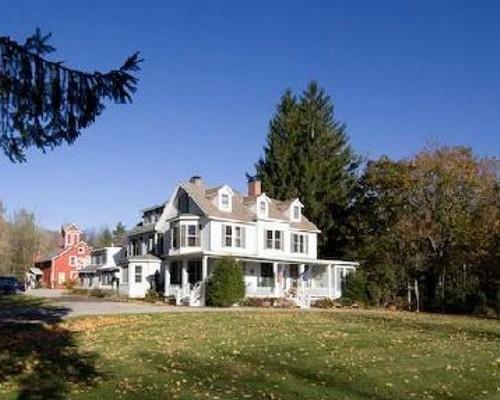 Since it is a very short distance from the Berkshires to Manchester Village, you have the option to travel on a scenic driving loop that takes you to Bennington and Brattleboro and back to Manchester again is only 113 miles long. 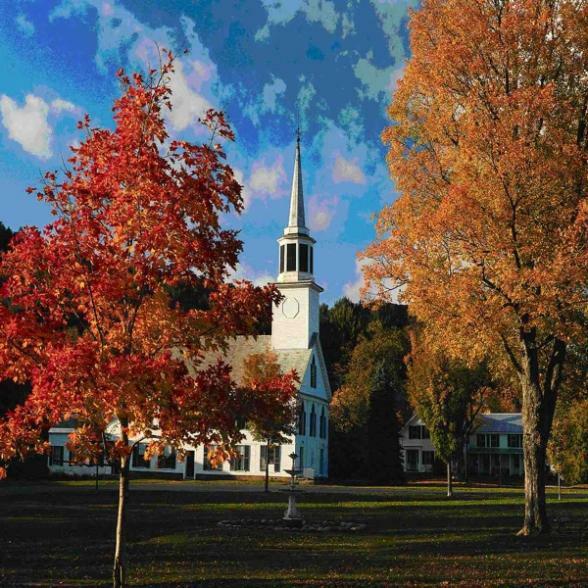 You’ll find Bennington County, Vermont as quintessential New England as there is. 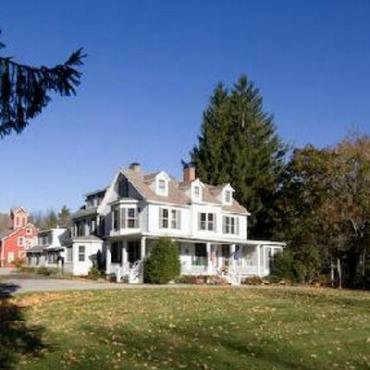 There are two historic walking tours in Bennington. One includes the original structures remaining from settlement and the Old First Church behind which poet Robert Frost is buried. Another driving tour takes you under five covered bridges and to the Vermont Covered Bridge Museum. Be sure not to miss the Apple Barn and Country Bake Shop, as well as Bennington Potters, world famous for their stoneware pottery. Between Bennington and Brattleboro, take the Molly Stark Trail National Scenic Byway through the southern Green Mountains. It is named after the wife of New Hampshire General John Stark who was the victor in the 1777 Battle of Bennington. The road is the route that the General and his troops marched home after their triumph over the forces of King George III. Enjoy the three state overlook from the top of Hog Mountain. Brattleboro is a college town and completely different than Bennington. The downtown is filled with art galleries, craftspeople, artists, boutiques, shops and restaurants. From there it’s a short drive back to your accommodations in Manchester. On your way to Burlington today, there’s another great scenic loop highway waiting today with white steepled churches, winding roads, quintessential, quaint New England towns bathed in bright sunshine and set up against mountains as old as time. And, of course, there’s Ben and Jerry’s ice cream. The countryside hasn’t changed much here in the 230 years since the Green Mountain Boys declared Vermont an independent republic. A mountain pass in Vermont is called a notch and mountains here have interesting names like Camels Hump and Crouching Lion. New England at its finest. Enjoy your drive. 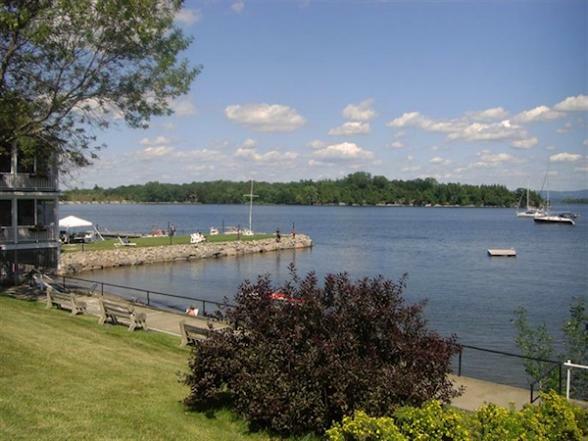 Since you have the opportunity to spend the day in the Burlington area today, plan to enjoy a cruise on Lake Champlain on crystal blue water surrounded by lush greenery. For a change of pace, visit Shelburne Farm, a 1,400 acre working farm that is also a National Historic Landmark. The Shelburne Museum has 150,000 works of art, Americana and design. The collection includes everything from French Impressionists to American folk art. After enjoying the visual treat, stroll on the 45 acres of gardens and landscape that surround the Museum. Once you get to Jackson, it’s everything you’d expect in quintessential New England. Cold, clear rushing streams reflect the deep lush greens of summer and the blazing colors that set the hillsides on fire in fall. Towering granite cliffs and soaring mountains hug both sides of the road as you make your way along age old winding, scenic routes, the woods that poet Robert Frost called, lovely, dark and deep. You can come here to escape all of mankind, which most of the residents do. Locals will assure you that you can have a vacation away from the citied world in a place that has not changed much in centuries. Many of the charming villages still look as they did when writer Nathaniel Hawthorne and painter Thomas Cole lived here in the 18th century. And that’s the way they like it, slow, easy and simple, leaving time to appreciate the astounding scenic beauty all around. There’s a great scenic loop to be explored today that includes the beautiful Kancamagus Highway, Mt. Washington, the highest peak in the Northeast and scenic Route 16, which gets progressively more scenic as it heads north. Jackson is one of the most attractive towns in all of New Hampshire. Spend one more day exploring this wonderful region of New England. 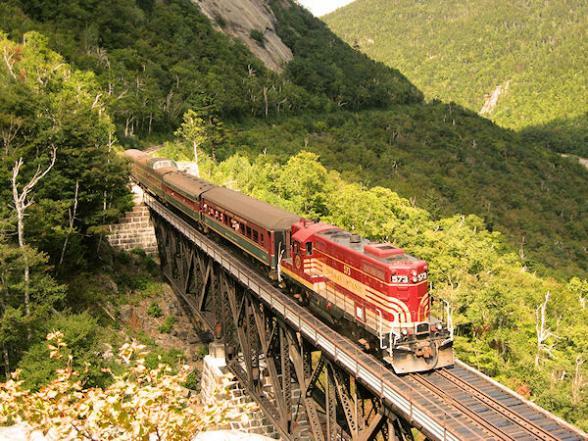 Why not consider a ride to the top of Mount Washington on the world’s first mountain-climbing cog railway? 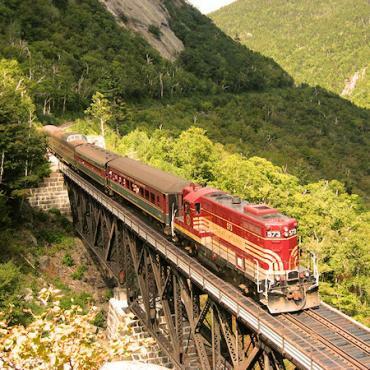 Built in 1869, this historic steam locomotive makes for a thrilling 3-hour round trip ride to the top of New England’s highest peak and offers amazing views over the White Mountains and beyond. Bon Voyage would be pleased to pre-book this for you. . 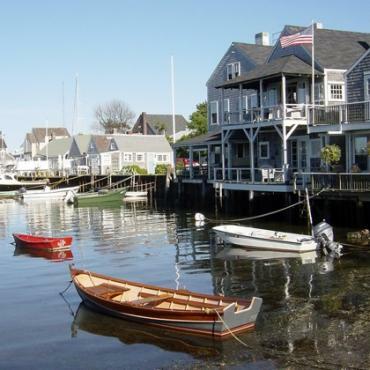 The Kennebunks are very old coastal towns, settled in 1620. 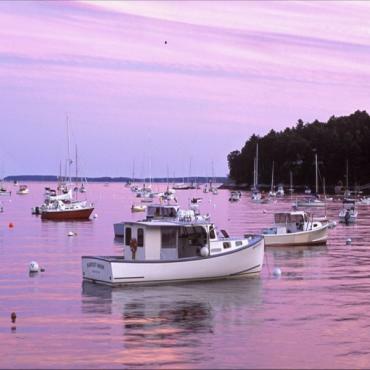 Maine remained a part of the Colony of Massachusetts and Kennebunk did not become a city until 1820. If you’re up for a short walk at this point, the Kennebunk National Register Historic District Village walk begins at the Brick Store Museum and continues on Main Street. If there’s time, the Kennebunkport History Center is located at 125 North Street. Five buildings, including a shipwright’s office, comprise the history center campus and present a good perspective of seafaring life in the Massachusetts colony. Some folks call the Kennebunk Beach the Kennebunk Workout. The string of beaches, some sandy, some rocky, that stretch along Beach Avenue from Gooch's Beach past Lord’s Point are all connected by sidewalks — a feature that makes this great stretch of seaside a favorite with walkers, joggers and roller-bladers anytime of day or evening. Take an early morning stroll past long stretches of beach, seafront homes and inns before the sun worshippers spread their towels on the sand. Enjoy the warmth of midday or the romance of an orange and purple sky reflecting off the water at sunset. Kennebunk Beach is readily accessible. You can drive to the beach and park, or you can take the trolley and leave your car behind. 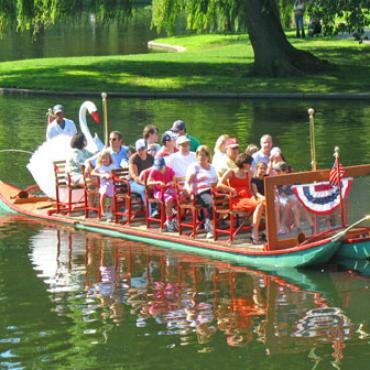 You may want to consider purchasing a Boston Go Card which offers discounted admissions to over 75 attractions in and around Boston. 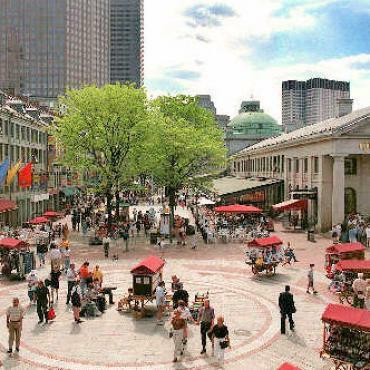 Boston’s most famous attractions include the New England Aquarium, the John F. Kennedy Library and Museum, the USS Constitution and the Harvard Museum of Natural History. 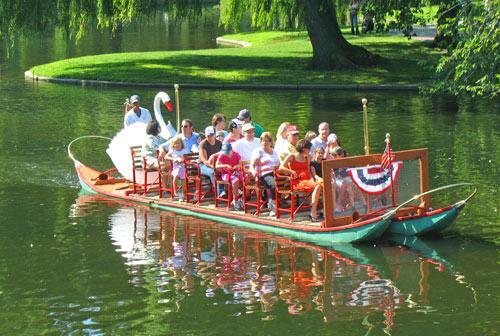 Tours on the water include the Seaport Express Water Taxi, Charles River Boat Tours, the Mass Bay Lines Whale Watch and the famous Boston Duck Tours. The Boston Museum of Fine Arts, the Isabella Stewart Gardner Museum and the Peabody Essex Museum in Salem are all considered world class. The Peabody Museum is one of the oldest museums in the world devoted to anthropology. The Paul Revere House introduces you to life before the Revolution and the Harrison Otis House museum lets you step into the elegant world of Boston’s governing class after the American Revolution. Spend one more day exploring this wonderful historic city. 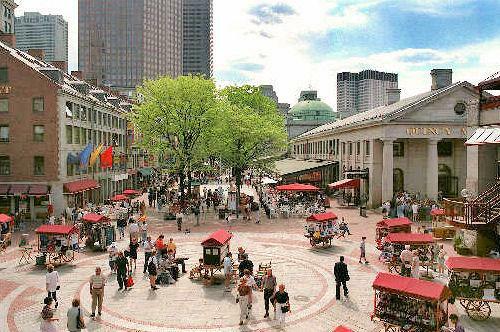 Perhaps you'd like to take advantage of the tax-free shopping on clothes and shoes in Boston's wide variety of stores and malls? When you take-off from Boston Airport, you'll know that you have explored the roads less travelled in the oldest part of America. Perhaps you may want to extend your tour and take a train down to New York City for some sightseeing and shopping or maybe head to the capital, Washington DC for some exploring. 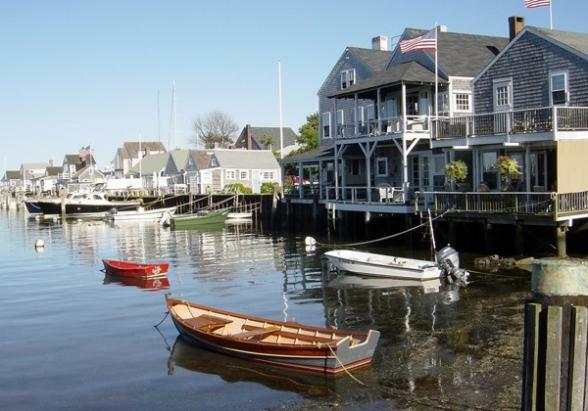 Call the travel experts at Bon Voyage to discuss your perfect Historic Inns of New England Tour.